Each day, there are millions of photos shared by Instagram users. You definitely don’t want your followers to miss your photos in the midst of all these other posts. So, what will attract users to your posts? But what is a perfect picture? The perfect picture should have good composition, lighting, colors, and tones. You need to use the right intensity of filters and effects to get the desired picture. Not a professional photographers or photo editing expert? Feel like you have no idea how or where to start editing or taking perfect pictures? This post will talk about nine of the best tips and tricks to take perfect pictures on Instagram. Let’s get started. If you want to post a perfect picture on your Instagram, then you need to make sure that the photo is well lit. Always remember that lighting is the key to the perfect photo. Regardless of the type of photography, no amount of editing or filters can save a photo that has poor lighting. Whenever possible, choose natural light over artificial light. If you are outdoors, early morning or late afternoons are the best time to schedule your photo shoots. The natural lights during these times of day are beautiful can really enhance your photos. Luciana Pinto, an architect from Rome, uses natural lights in his pictures. In the image below, the architect uses beautiful natural light to capture the living room. You can check out his account for more inspiration. Your Instagram photos must have defined lines, shapes, and strong colors to stand out from other photos. Always select and focus on one element that will appear large in your frame. This is the best way to draw the attention of your audiences towards your photos. Try to convey emotion through your photos. If you are an amateur photographer, it will take some time to figure out how to capture emotional shots, but keep on practicing and training yourself. Even if you are not an editing expert, this will help you get a perfect Instagram picture. Dirk Bakker, a graphic designer, is an expert when comes to capturing geometric shapes, lines, and forms. The image below perfectly reflects geometric shapes, lines, and forms. At times, Instagram edits alone are just not enough to get that one perfect Instagram-worthy photo. 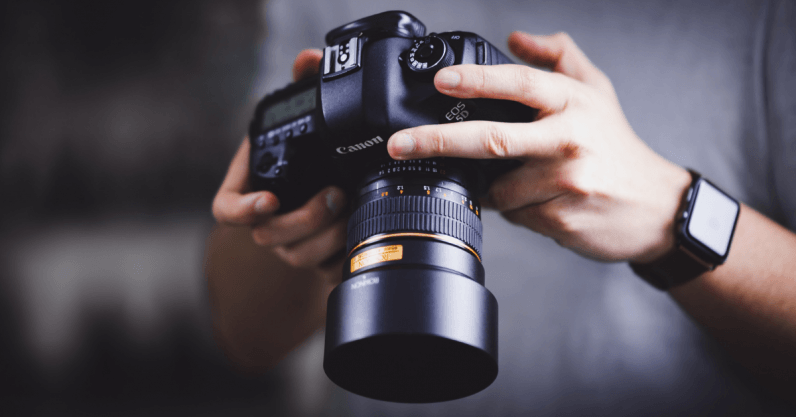 Even if you are not a professional photographer or an editing expert, you can use third-party apps and tools to get the desired effect on your pictures. These tools can help you to enhance the look, quality, and the overall impact of a picture. You can try free apps like Mendr, Adobe Photoshop Express, etc. But you can also keep shopping around for the right tools to figure out what works best for you and what meets your requirements. Photo editing apps can connect you to certified professionals who can do all the editing for you. The experts can enhance color and lighting, swap out the background of your photo, remove photobombers–you name it. Try to successfully align all the elements of the picture to get your perfect Instagram shot. When you turn on the grid feature, it helps you to perfectly align all the elements of the picture. When your grid feature is on, it enhances the composition of your pictures. You must very carefully observe the overlapping elements on your camera or phone screen and find the exact midpoint of the picture. Take the photo once you successfully find out the center of it. Regardless of the type of photography, the grid feature can really enhance the overall impact of the picture. According to many professional photographers, eyes are just like your camera lens. They need to be trained accordingly. But unfortunately, many people just hold the camera and take a picture, rather than using their eyes first. Rather than taking hundreds of pictures to get that one perfect shot, just take a moment to look around. Try to frame the picture with your eyes. It’s best when you take some time and observe what exactly is in front of you. It will give you new and better ideas of the composition to get that perfect photo, plus you’ll take a second to enjoy the moment and scenery around you! Many times, people tend to over-edit their pictures. But what they don’t understand is over-editing can make your photo unappealing. When you do the basic editing carefully, it can significantly enhance the picture. The basic editing includes adjustments with the contrast, shadows, warmth, and highlights. Sometimes you may wish to adjust the brightness or reduce saturation at the edge of your photos. Remember to conservatively use these minor and basic edits. Even though they are basic edits, overdoing them can drastically impact your image quality. It becomes very unattractive and loses its natural look. Drag the slider to select edits of your choice and make adjustments. Make sure to compare the original picture with the edited one to get an idea of how the current one looks. Don’t worry if you are not an editing expert, there are effects and filters to help you out. You can upgrade and enhance the quality of your photo by adding various effects and filters to it. Attract your audience by adding creative effects and filters. You can use filters to lighten foregrounds and darken skies using gradient filters. Also, if you want to give your photos a retro look, you can use vignette filters. You can keep on experimenting with different effects and filters till you get the desired results. But remember not to use filters to their full intensity. Experiment with the filter settings to find the optimum level of a filter. Sometimes less is more. Focusing on quality is much better than focusing on quantity. Posting a lot of really bad pictures won’t help you up your game. Instead, focus on the quality of the picture, for which you really have to be careful with the composition. And as mentioned above, don’t forget to have good lighting for your pictures. Badly lit and poorly composed images will never catch the attention of your audience. Perfection is not achieved overnight. One needs to practice day in and day out. Always be ready and don’t be afraid of capturing a new, exciting, and attractive scene or location. To get the best possible results, you can try taking photos of the same object from various angles. This means you need to practice composing the same object in different possible ways. And in due time, you will be able to take and post clean and sharp photos with nice natural colors and tones. To post perfect Instagram photos, you don’t have to be a professional photo editor or photographer. Use these tips and tricks to make your photos look more engaging and captivating. Also, it’s important that marketers work on their Instagram skills and improve it. When posting the perfect picture, try to add interactive, interesting and engaging hashtags. Ensure to post pictures with engaging captions, which can trigger conversations with your followers. You can ask a question or add a strong call to action. Marketers polishing their Instagram skills will help their brand to grow. Let’s me know which one is your favorite. Got any tips or tricks to post perfect photos on Instagram? Don’t forget to share them in the comments.